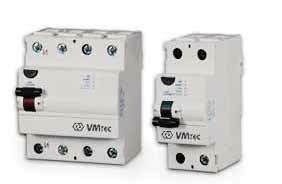 The VMtec circuit breakers are an automatically operated electrical switches designed to protect an electrical circuit from damage caused by overload or short circuit. 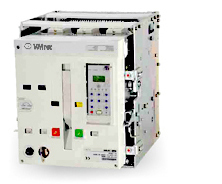 The VMtec Circuit breakers are made in varying sizes, from small devices that protect an individual household appliance up to large switchgear designed to protect high voltage circuits feeding an entire city. 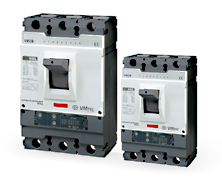 We offer premium quality Miniature Circuit Breakers, which are developed by utilizing latest technology. These are fabricated in strict compliance with the prevailing industrial standards and are acclaimed for their long lasting service life. Acknowledged for their efficiency and functionality. We are one of the leading organizations Moulded Case Circuit Breakers, which is an automatically-operated electrical switch. 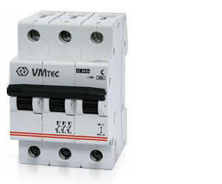 These switches are developed by VMtec by utilizing latest technology and machines. Acclaimed for their precise design and optimum functionality, these are widely demanded in several sectors such as domestic, industrial or commercial sectors. Lightest and most compact for a given capacity. 4 frame sizes in the entire range, 630A to 6300A, resulting Most simple to operate and maintain. High dielectric strength even in hot and humid conditions. Highest values of mechanical and electrical endurance due to version. Robust mechanism design and special sintered metal contacts. Provides protection against earth fault/leakage current and also fulfill the function of isolation. Automatically measures and disconnect the circuit when earth fault/leakage current occurs and exceeds the rated sensitivity. Incorporates a filtering device for prevention of nuisance tripping due to transient voltage.